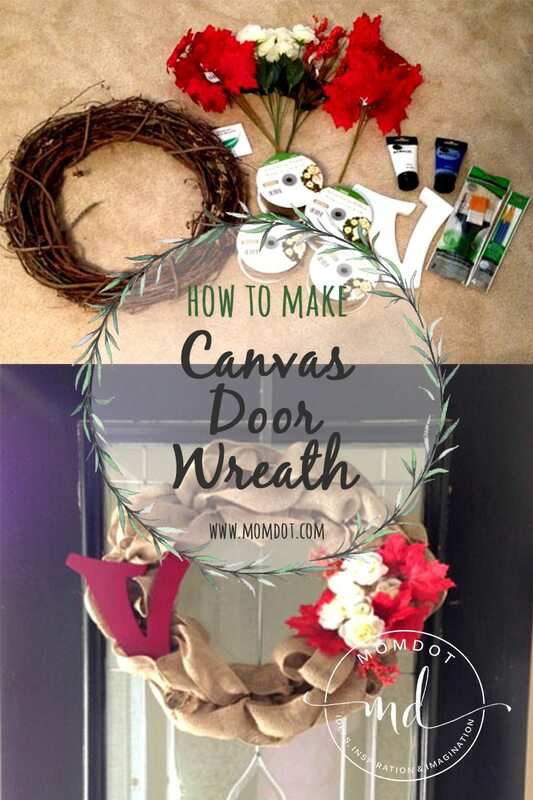 This week my neighbor Stephanie was making a fall wreath made from canvas and offered to share the steps with you all here as she isn’t a blogger! So here is her craft and I hope this helps you compete your own! I am going to make one for Halloween! 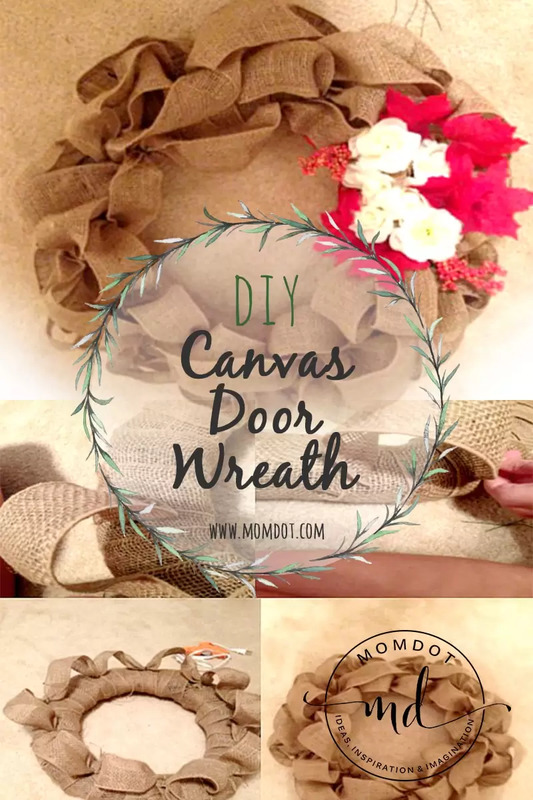 Step 3: Wrap the burlap ribbon around the wreath, and with the floral wire poke it through the ribbon and into the wreath and securely tighten the ribbon onto the wreath. 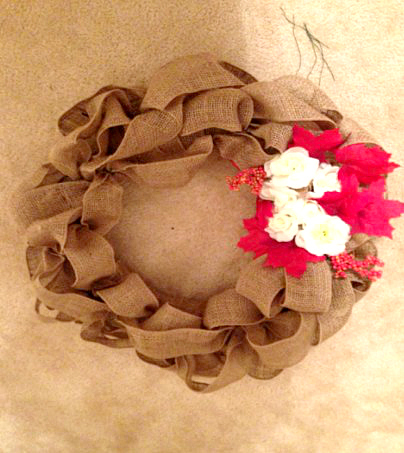 Step 4: Wrap the burlap ribbon around the wreath until it is completely covered. 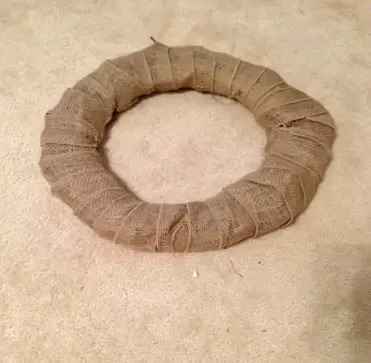 When you finish glue the burlap ribbon to secure it. I used a high temperature glue gun. Step 5: With the pieces of floral wire get another spool of burlap ribbon and with the end of the new spool, tie it to the wreath and secure it. Scrunching it to a half loop take another piece of floral wire and secure it. DO NOT CUT the burlap ribbon when looping it. 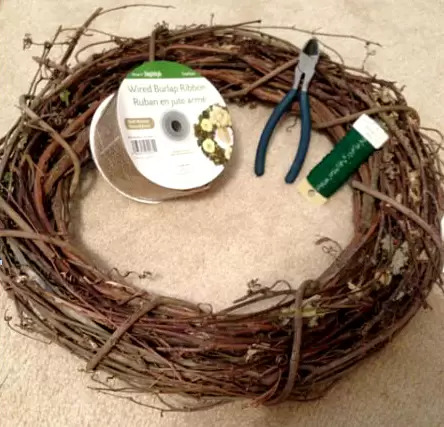 Continue to make loops on top of the wreath until you have about 3 or 4 rows of loops. Step 6: Take your florals of choice and pull them off the stem. 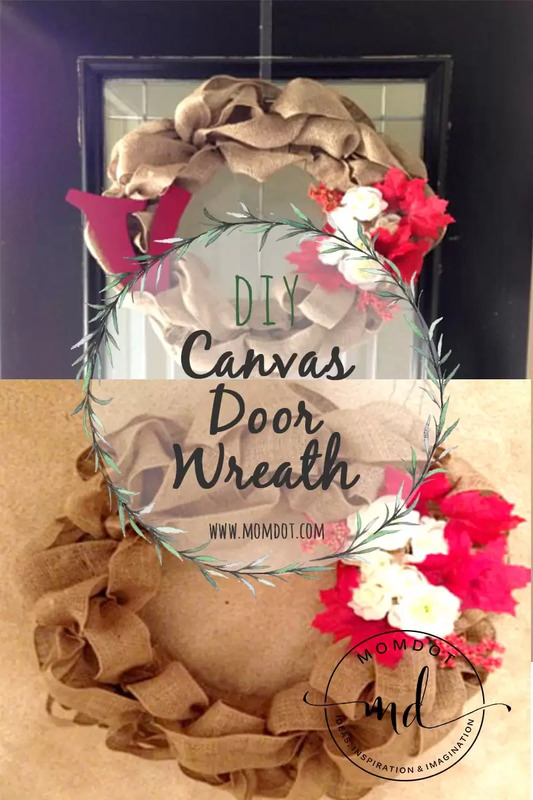 Then with your glue gun, glue them to your desired area onto the wreath. Do not be afraid to press on it because you can always go back and fluff the ribbon back out. You may use whatever type of decoration you want. 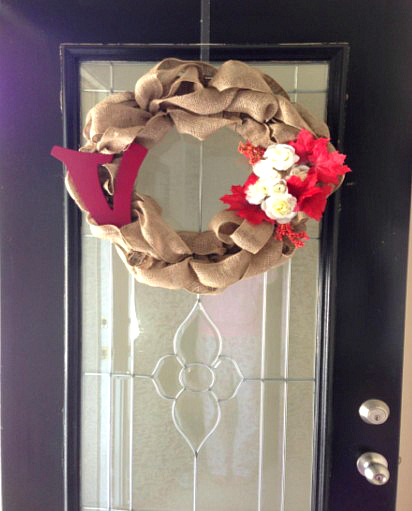 For this wreath, I chose some pretty white roses and red leaves. Step 7: Once you finish adding the floral’s, you may begin to paint your letter of choice. I choose a V to represent the first letter of my last name. I bought a can of burgundy spray paint. 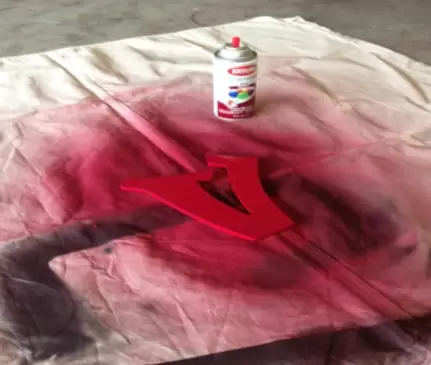 The spray paint will allow a quicker paint job, and allows for a smoother finish. I did 4 even coats. It was completely painted and dried within 1 hour. 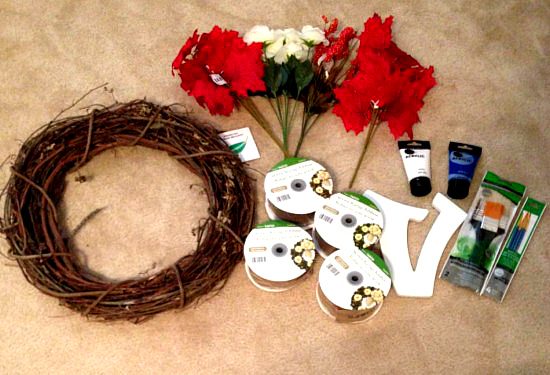 Final step: After your letter is completely dry, take your high temperature hot glue gun and add it to your wreath. I was not shy about adding the glue. It took me one full stick of glue to securely attach the letter. Once that is dried you may hang it up on any door! « Crafting and Inspiration Tutorial Round up! 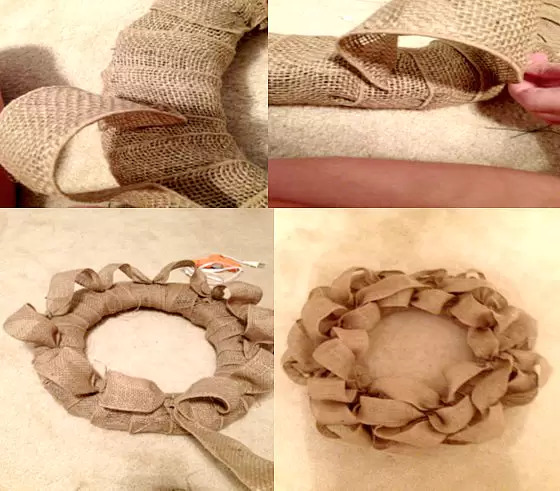 Thanks for the tutorial on making a burlap wreath! OOh that is so pretty! I wish I was crafty!